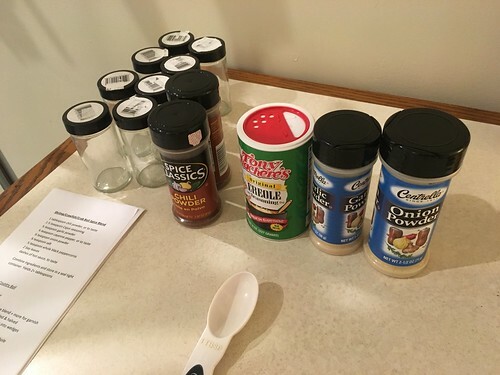 Combine spice mix ingredients. Fill a 20 quart stock pot half way full of water and add spices, let it come to a boil. * Fresh and/or frozen raw crawfish are hard to find in our area, so I used flash frozen crawfish. Once the water in the pot has come to a boil, add the celery, garlic, onion and potatoes. Continue to let it boil for 5-7 minutes. Reduce the heat and then add the shrimp and sausage. 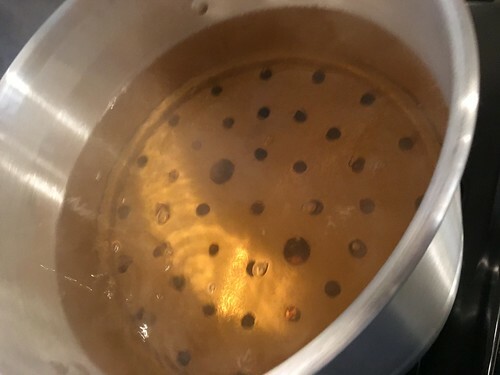 Cook on a simmer , uncovered, for 3-5 minutes. Turn off the heat and add the cooked crawfish. Cover and allow to warm through, about 3 minutes. Then add the frozen corn cobbettes to the pot to warm through, while also cooling down the mixture. 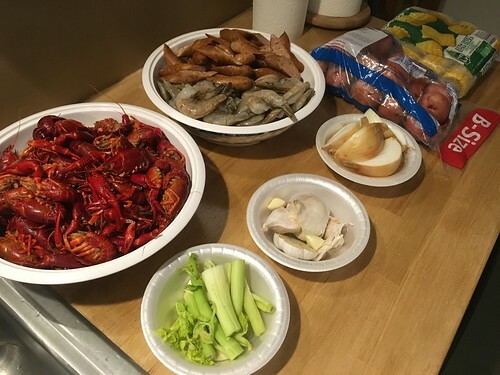 You'll often see a crawfish boil or a shrimp boil... but for our class, we did a mixture of both for a twist... and a delicious twist at that! Traditionally, a low country boil is served outside on a picnic table lined with newspapers. 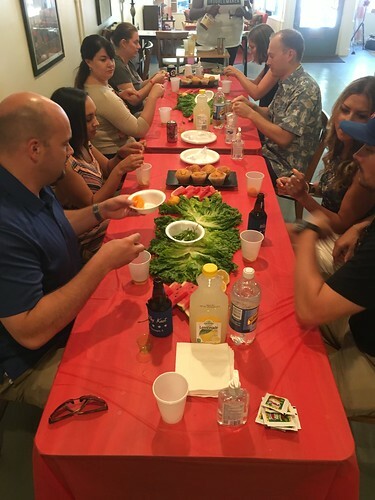 For our boil, we hosted it indoors and dressed up the middle of the table with fresh lettuce leaves on the tabletop where we served our boil. On the table, we also had fresh slices of watermelon, lemon halves for dressing the boil. 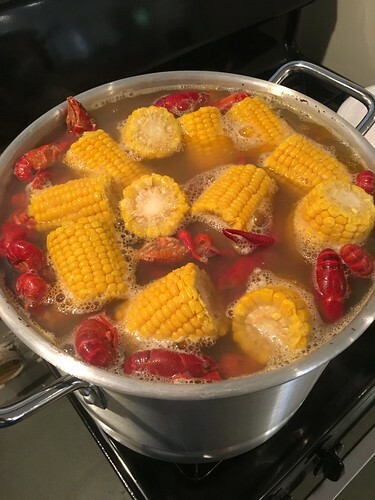 Before we knew it, the boil was ready for serving and digging in! 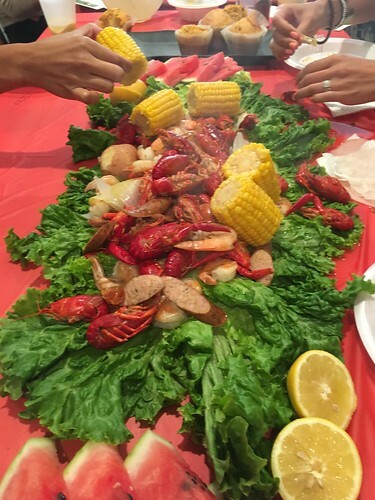 The tables were heaping with a colorful display of crawfish, shrimp, sausage, corn and potatoes - all of which absorbed the amazing flavors of our spiced stock. As for sides to pair along with our boil, we prepared a lemon pasta salad, honey chipotle cornbread and for dessert, mixed berry cobbler bars! 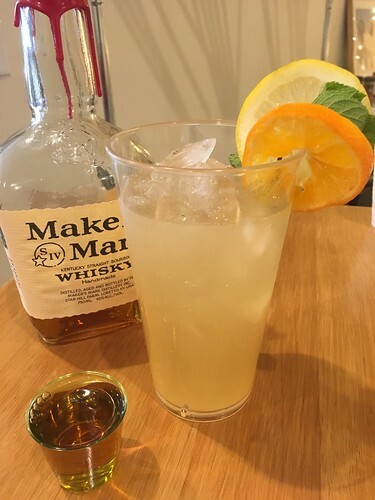 Everything was washed down with a few bottles of cold beer and some bourbon lemonade we also made. Recipes will be coming soon for the side dishes, dessert and cocktail we prepared so stay tuned! In the meantime, make the weekend fun with a Low Country Boil with friends and family this summer. Not only is it delicious, it's fun and a nice twist to the usual outdoor meal!